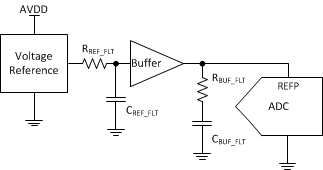 The ADS8555 device contains six low-power, 16-bit, successive approximation register (SAR)-based analog-to-digital converters (ADCs) with true bipolar inputs. Each channel contains a sample-and-hold circuit that allows simultaneous high-speed multi-channel signal acquisition. The ADS8555 device supports data rates of up to 630 kSPS in parallel interface mode or up to 450 kSPS if the serial interface is used. The bus width of the parallel interface can be set to eight or 16 bits. In serial mode, up to three output channels can be activated. The ADS8555 device is specified over the extended industrial temperature range of –40°C to 125°C and is available in an LQFP-64 package.